HA NOI (VNS) — Viet Nam aims to have bonds outstanding worth 38 per cent of the gross domestic product by 2020, State Treasury's Deputy General Director Tran Kim Van said early this week. Van told local media that this would include 22 per cent of Government bonds or G-bonds, issued by the Ministry of Finance (MoF) through the State treasury; 8 per cent of Government-guaranteed bonds, which were bonds issued by authorised entities to mobilise capital for investment projects as appointed by the Prime Minister; 1 per cent of municipal bonds; and 7 per cent of corporate bonds. According to the data, from the beginning of this year to August 14, the bonds outstanding were worth VND867.8 billion (US$38.5 million) — including VND581.4 billion ($25.83 million) from G-bonds — accounting for about 22 per cent of the $186-billion GDP in 2014. Tran Van Dung, general director of the Ha Noi Stock Exchange (HNX), the only G-bond organiser in Viet Nam, said public investment still heavily relied on the ODA fund. However, when Viet Nam becomes a middle-income nation, the ODA fund will be reduced. So, it is necessary to make the bond market a new channel to mobilise capital. 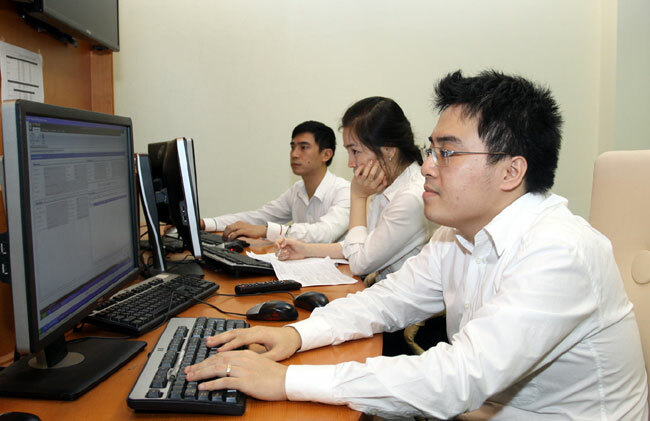 Dung said the bond market achieved an average growth rate of 23 per cent in the last five years, making the Vietnamese bond market one of the fastest growing in emerging economies in East Asia and the ASEAN region. However, with regard to the size of local currency bond obligations as a percentage of nominal GDP, according to the data till June 2015 collected by asianbondsonline.adb.org, Viet Nam ranked lower at 23.4 per cent compared with Japan, which stood at 220.36 per cent, Malaysia at 95.31 per cent, Singapore at 82.46 per cent and Thailand at 72.28 per cent. Hong Kong was at 65.26 per cent and the Philippines at 35.84 per cent. To make the market more attractive to investors, Deputy General Director of the State Treasury Van said the finance ministry would continue to build and develop a reliable solid liquid market and make it achieve international standards slowly to become an important, safe and efficient channel for capital mobilisation. He said it would also coordinate with the central bank in managing the fiscal and currency markets to ensure the most stable interest rates for the bonds. Recently, the MoF was also planning two new products on the bond market that would pay a zero-coupon rate and a floating rate to meet investors' demands. A representative from the State Treasure said they expected to launch the zero-coupon bond in December and asked the National Assembly to consider the floating rate bond this October. At the same time, Van said they would develop the investment channel, encouraging more long-term investors such as pension funds and insurance companies to enter the market. The MoF said most of the investors were commercial banks that held 80 per cent of the bonds, while foreign investors held one to two per cent of the bonds. Van said to attract more foreign investors to the market, Viet Nam would stabilise the macroeconomy, while they should further construct and develop derivative products such as contract bonds and periodical bonds to prevent risks on the G-bonds. To boost transparency in the market, they will also build an electronic website that will provide information and data about the market. Van said a good system would not only ensure issuance and transactions, but also shorten the time for listing and issuance and create liquidity in the market. From the beginning of 2015 to August 14, Viet Nam saw the issuance of bonds worth VND140.9 trillion ($6.26 billion), including VND123.4 trillion ($5.48 billion) of G-bonds, meeting 49 per cent of the yearly target. For the first time, the State Treasury issued 20-year bonds, the longest term, this July. So far, they have issued 20-year bonds worth VND3.2 trillion ($142.2 million) to an insurance company, Prudential Vietnam, via private placement.